Skin laxity is an unfortunate and unwanted side effect of aging. No matter how well you protect your skin from sun damage and take care of it with skincare regimens, it’s more than likely that some level of visible aging will eventually appear. This damage can be detrimental to your confidence and self-image and is therefore near the top of many patients’ aesthetic concerns. For years, there was only one solution for loose skin: surgery, which while very successful in treating skin laxity, creates roadblocks for many potential patients. Simply put, surgery can be a scary concept. It’s invasive, it requires downtime during which there is bruising and swelling, it can potentially lead to unwanted scarring, and it can be unpredictable. While this is certainly not saying to avoid surgery altogether, as surgery will still provide the highest amount of correction for age-related concerns safely and accurately, it isn’t the option for everyone. If you fall into this “no surgery” category and are still dissatisfied with the quality of your aging skin, you are in luck. Over recent years, many non-invasive skin tightening procedures have entered the market. One of the most successful treatments is known as Ultherapy®, which uses ultrasound technology to tighten the skin. With a single treatment, you can be on your way to smoother, tighter, more youthful-looking skin. Ultherapy® provides visible, lasting improvement in the tone and quality of skin on the neck and face. Much like a facelift or a neck lift, Ultherapy® minimizes or eliminates wrinkles and fine lines while stimulating collagen production to maintain smoother, more youthful skin without surgery. During this treatment, you will not see a single knife, experience a single incision, or be left with any scars. Treatment sessions only take between one and two stress-free hours and results begin to show within the first few days. As with any non-surgical procedure, there is no real downtime. You can leave the office immediately after your procedure and return to your normal activities. 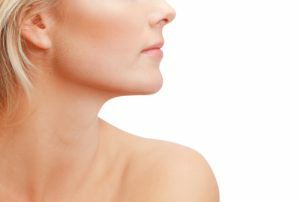 You will not be required to take off days or weeks of work as you would with facelift or neck lift surgery. While you may experience minimal bruising and swelling, it is much less than what you would experience from a surgical procedure. For patients who are on the fence about cosmetic surgery, Ultherapy® is a great way to start. You will notice substantial and almost immediate results with this powerful device, results that will only improve over the next three months. There is no need for repeated sessions. These days, non-surgical procedures are growing more and more popular because they are becoming more effective. If you want to attain better skin quality and reduce the number of wrinkles and fine lines on your face and neck but aren’t ready to commit to surgery, Ultherapy® may be exactly what you need. To learn more about Ultherapy®, contact the PREMIERE Center for Cosmetic Surgery by calling 813-413-7717 to set up a consultation.